We want to improve Stockport for people living and working within the borough and offer services that compare with the best. It’s important that the improvement is real and we can measure it. The Council Plan 2018/2019 sets out our approach to how we will deliver our priorities over the next 12 months. It has a clear focus on investing in a sustainable future for Stockport and its people. The Plan explains our commitment to growing Stockport’s local economy, protecting vital local services and ensuring that everyone has the opportunities they deserve. Read the Plan in the document below. We are committed to delivering our Investing in Growth programme, and also aim to ensure that all our residents can benefit from economic growth through improved transport, housing and employment opportunities. What we call ‘Inclusive Growth’ is central to our vision and plans to tackle poverty and inequality. 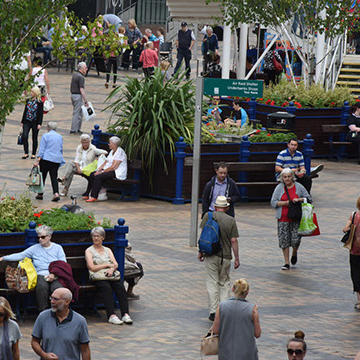 An Equality Impact Assessment (PDF 179Kb) for the Plan was carried out, ensuring that the priorities in the Plan meet the needs of all sections of Stockport society. The information in the Plan supports our Portfolio Agreements which will be published in June 2018 and help us to plan for future years. Our Performance and Resources framework makes sure that the impact of our investments, activities and projects can be measured. You can view our performance reports on our democracy pages. We will also continue to publish a range of detailed datasets on our transparency pages. We will continue to listen and respond to local residents, elected members and other stakeholders when developing further plans.